A subpoena has been issued to find out more about what happened during a visit to London in November 2016. 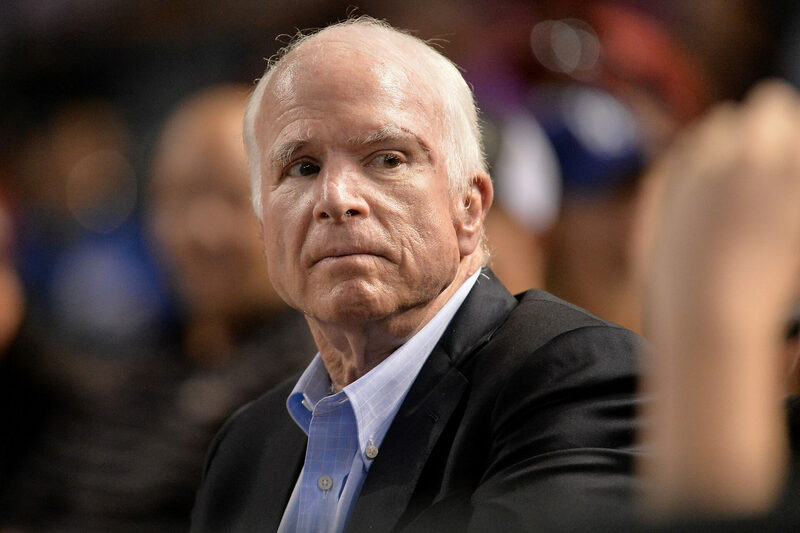 Rep. Devin Nunes from the House Intelligence Committee wants to speak with David Kramer, the current Senior Director of the McCain Institute in regards to allegations that Sen. John McCain was involved in the collection of the phony Russian Dossier. The Russian Dossier was collected by British ex-spy Christopher Steele before last year’s election and the FBI’s Andrew McCabe has only recently admitted that while the FBI used the Dossier as a reason to issue warrants against people associated with Donald Trump, they were not able to verify that any of the information contained in it was true. The research was funded at first by the Washington Free Beacon and later taken over by Fusion GPS who commissioned the Russian dossier, which received money from the campaigns associated with both Barack Obama and Hillary Clinton. While in London, Kramer, a former official with the State Department, allegedly met with Christopher Steele at the request of John McCain to review the “pre-election memorandum on a confidential basis,” according to the subpoena. Then, Kramer was the one who reportedly flew back Stateside to give copies of those documents to McCain, who then in turn gave the information to the FBI. Kramer is expected to appear in front of the House Intelligence Committee on January 11th, 2018, stemming from a meeting he had with the group earlier this December. Recently, the website Buzzfeed has been in legal trouble for posting part of the Dossier online for only a few hours before pulling it down. A Russian man named in the excerpt as being involved with hacking Americans sued the online magazine for libel. Buzzfeed issued a subpoena to the Democratic National Committee, with the intent to find out if upper levels of the Obama Administration were taking the Dossier seriously, but the order was recently thrown out. On Boxing Day, Trump tweeted that the Russian Dossier was a “pile of garbage” and blasted the FBI for using it as a basis for starting their investigation into connections between the Russians and the Trump campaign. While the Republicans want to know what’s in the Dossier to see how much Democratic influence was involved, the Democrats still want to know more about whether Trump really was involved in Russian scandals. In November of this year, Clinton watcher Ed Klein alleged that the Hillary people were looking into the funding of a second Dossier on Trump by Christopher Steele.